The Hobby Lobby ruling affirms that religious freedom isn’t limited to Sunday morning. The major media’s account of the Supreme Court’s decision in the Hobby Lobby case was typical of the way the case has been misreported from the start. The New York Times headline read “Supreme Court Rejects Contraceptives Mandate for Some Corporations.” Politico led with “Scotus Sides with Hobby Lobby on Birth Control.” Others were similar. That’s not what the case was about, and you’d think that major news organizations might at least get the basic facts straight. The litigants, the Green and Hahn families, owners of Hobby Lobby and Conestoga Wood Specialties respectively, did not have religious objections to contraception. They might have, if they were Catholic, but they weren’t and they didn’t. The Hahns are Mennonites, and the Greens are Christians of no particular denomination. Both families provided coverage for contraceptives in their health plans. Hobby Lobby provided coverage for 18 different methods of birth control. What both the Greens and the Hahns objected to were the regulations promulgated by the Department of Health and Human Services that would have required them, on pain of severe fines, to cover four more methods, including the morning-after pill, that the litigants (and not just they) consider abortifacients. No matter how many times the press calls this a case about contraception, the truth is that it was about abortion. Neither family could, in conscience, be a party to paying for abortion. There were good constitutional arguments for ruling that the HHS mandate violates the Free Exercise Clause of the First Amendment. The Constitution itself showed deference to the religious objections of Quakers and Mennonites at the time of adoption to swearing oaths. The Constitution accordingly requires that office holders “swear or affirm” their oath of office. But the Court did not reach constitutional questions, because perfectly clear statutes, the Religious Freedom Restoration Act of 1993 and the Religious Land Use and Institutionalized Persons Act of 2000 (RLUIPA), required the government to give the broadest possible scope to the free exercise of religion. RFRA forbids the government from “substantially burdening” a person’s free exercise of religion unless the burden is in furtherance of a compelling governmental interest, and unless it is the least restrictive means of achieving that governmental interest. That the Greens’ and Hahns’ free exercise was burdened was not in doubt. Hobby Lobby, for example, would have incurred fines of up to $475 million per year. The government asserted that its mandates served important, if vague, public purposes, such as “public health” and “gender equality.” The government did not come close to proving that the mandate was the “least restrictive” alternative available. At the heart of the government’s case was an attempt to steamroll our varied and yes, diverse, nation into conformity on subjects that remain deeply divisive and keenly felt. Like the Affordable Care Act itself, which was railroaded through on a slender majority, the HHS regulations attempted to crush opposition even among the devout. Can you, in the name of public health or “gender equality,” strong-arm those with religious objections into acquiescing on abortion? RFRA threw a cloak of protection over religious expression in all its forms, and the Court, by one vote, upheld religious freedom. 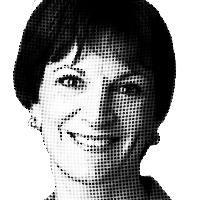 — Mona Charen is a nationally syndicated columnist and a Senior Fellow at the Ethics and Public Policy Center. © 2014 Creators Syndicate, Inc.